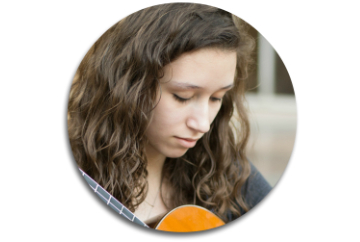 Blair Duran is a left-handed classical guitarist currently working towards her bachelors in Guitar Performance at SMU’s Meadows School of the Arts. She has been studying the classical guitar for eight years, with further background experience on the violin and piano. Blair has been the student of Professor Robert Guthrie of SMU for seven years focusing for most of that time on classical and spanish music. In addition to her performance experiences in the Caruth and O’donnell performance halls of SMU, the Fort Worth Library, the Meyerson, and the GFA, Blair also has extensive teaching experience with the piano and guitar.